Create a space like no other with our wide range of custom and semi-custom cabinet lines. Ask about our space saving cabinets that you’ll never know how you lived without! Carpet, hardwood, vinyl plank, tile, & stone that will hold up to your everyday traffic. Got pets? We’ve got solutions! Ask about our amazing waterproof flooring today! 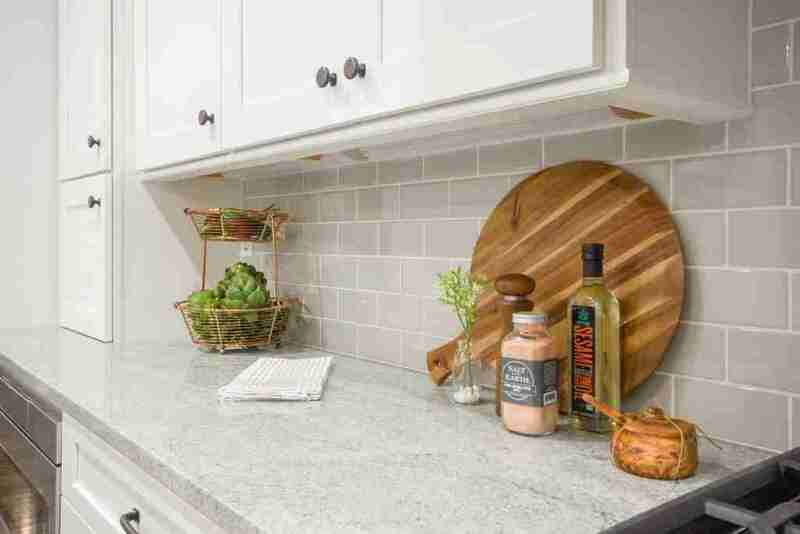 From Quartz, granite, and laminate countertops, we carry the most trusted brands to make your kitchen or bathroom pop! Come have a look at our Cambria “Berwyn” on display! From planning to installing your project, we’re here for you every step of the way. With over 120 years experience between our sales team, we have the knowledge to help guide you through the often-tricky buying process. Whether it be to help with color schemes, or to find the right product that will perform in your space, we are here for you! We install everything we sell. We also offer the best warranties in the industry on labor we perform. No more piecing together different subcontractors to complete your project. We are truly a one-stop shop! With many years in the business, we have thousands of satisfied customers. If you would like references, we more than likely have some past customers that live very close to you. Feel free to call us for a list of references! We know there are big decisions to be made. We try to make this process as easy as pie! With over 8,000 square feet of showroom space, we have the largest selection of cabinets, flooring and window treatments in Polk county. If you’re worried about getting lost with all this space, don’t fret! Our team is always here to guide you through the process. We offer free estimates on everything we sell. You can rest easy knowing your project was measured by one of our knowledgeable estimation team. In a hurry? We usually can measure and install our in-stock flooring products within a week. We install everything we sell. We also offer the best warranties in the industry on the labor we perform. No more piecing together different subcontractors to complete your project. We are truly a one-stop shop! We work with a number of local new home builders were we provide numerous different type of flooring options in the Polk Country Area. From dairies to major production facilities, we are able to handle the tight scheduling and product installation of these large project facilities that exhibits extreme traffic. Starting out as only a window treatment company, our initial showroom was located in a plaza on 2nd Street SW in Winter Haven by our founders Vernon & Louise Blackburn. In 1973, Blackburn's Interiors introduced a complete flooring line. With the continued growth, the move to another location was inevitable. 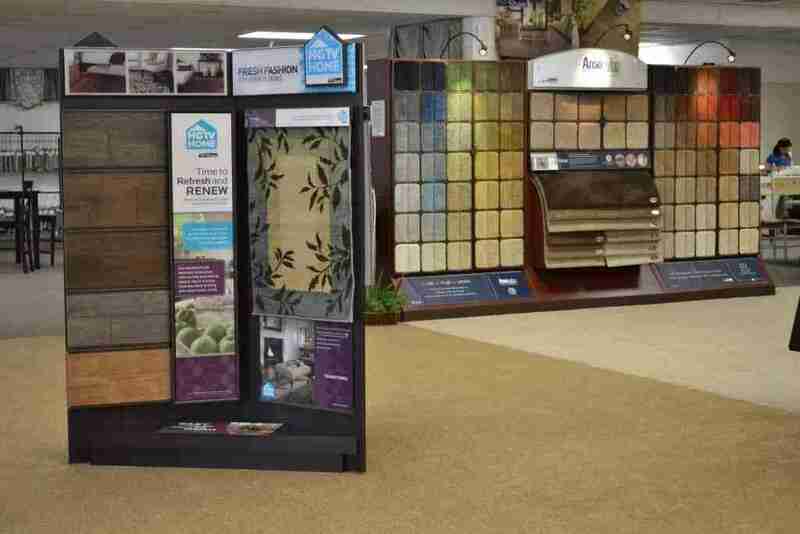 Ceramic and hardwood sales continue to chase carpet as the category leader. An introduction to luxury vinyl was made. With just over 51 years in business, we outgrew our current space again. Blackburn's now calls an 8,000 square foot showroom home. Luxury vinyl plank continues to grow in both residential and commercial applications. In early 2017, we introduced our cabinet division and the manufacturers Medallion and RiverRun. ...Matt knows his stuff and I'm sure everyone working there is just as well versed. It's a family business too. I love my new flooring! Blackburn’s Interiors offered a quality product, quality and professional service and installation. Thank you to Jarrod and all the crew at Blackburns!! Blackburn’s handled our home remodel. They did almost our entire house of new flooring, new kitchen countertops, sink, faucet and backsplash. We were very pleased and impressed. Jarrod was so kind, professional and extremely helpful to us during the entire process. We would highly recommend them to anyone for their flooring and kitchen remodel needs. Typically, our installation crews will arrive between 9am and 10am the day of installation. If you have a repair scheduled, we try to schedule morning or afternoon. The installation timeline will be discussed at the time of purchase. Sometimes, especially on bigger jobs, we can’t guarantee the exact day we will complete the job. But, we try to get as close as possible. Will There Be Additional Floor Prep For My Job? We do include “basic floor prep” on our quotes. While this covers the majority of the jobs we do, we cannot foresee what is underneath your current flooring when quoting. If there are any surprises, we will get with the homeowner to figure out a solution. Ultimately, the homeowner has the final say. Do You Carry Waterproof Flooring? Yes! We carry a wide selection of waterproof flooring. And, it comes in many different construction types. From luxury vinyl plank, tile, hardwood, and carpet. Yes, you read that right–WATERPROOF CARPET! We do offer different types of financing. And occasionally we run specials from 12 months to 24 months no interest. Ask for more details! Do You Charge For Furniture? We do charge for moving furniture. Typically it runs $35 per room for normal furniture. Pianos, large entertainment centers or aquariums are an additional charge. How Long Will It Take For My Product To Get In? If the product is in-stock at the manufacturer, it typically takes 7-10 business day for us to receive materials. If you’re in a hurry, ask about our in stock items.